Little Red is Australia’s very best kept secret and with the music pouring out of Australia lately, that’s saying plenty. 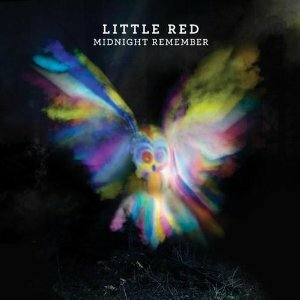 The Aussie’s have been enjoying Little Red’s latest album Midnight Remember since last month and I’m elated that it has finally made its way here to the U.S. If I were to play this album for you for the first time and ask you to tell me which song is the single, I would bet my earholes you wouldn’t be able to do it. Each track is genuine and feels like the band must have put all of their energy into that one song. It’s easy to expect the next track and the rest of the album to be superficial space-fillers. But they’re not. Each one is just as special as the last. This one is for life’s special moments: late nights of quiet time at home or a casual walk through nature. You may be subject to sudden urges to dance or give the closest person to you a good hug. It’s reflective and happy and will bring a smile to your face through simple yet catchy bass lines, distinguished guitar riffs and vocals, and aristocratic keyboards.